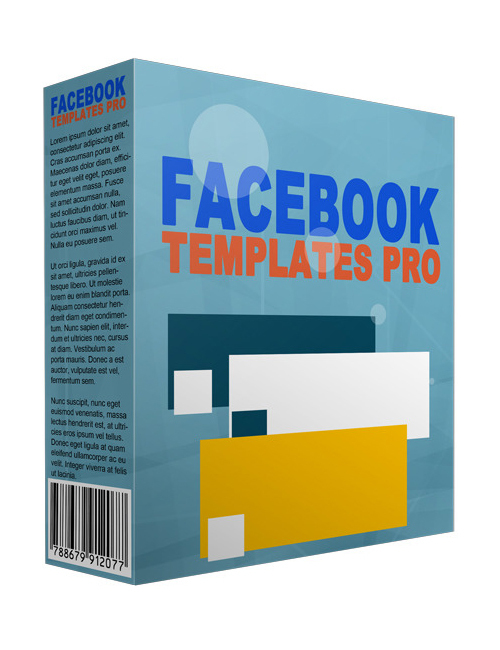 Facebook Templates Pro is the super graphic display download that’s going to give you the power to shine online, get in front of your direct target audience, and rock it in the money department. Money makes the world go round and the more the merrier. If you like making money and not worrying about bills, this is the download for you. No doubt Facebook is the top notch social media platform around and when you make the time to learn how you can effectively tap into this massive traffic space and get your Facebook marketing mojo going, you’ve got the golden ticket to finding your niche audience and driving them successfully to your door for the conversion and sale. But to start off, you need an awesome timeline cover to get those eyes onto you. Images really do work. People love attractive images and that shows the importance of having a heck of a good graphic for your Facebook cover. I don’t need to explain any further because statistics have already proven it. You need this download if you’re not a graphics guru and you need to bring some real spark to your Facebook page.